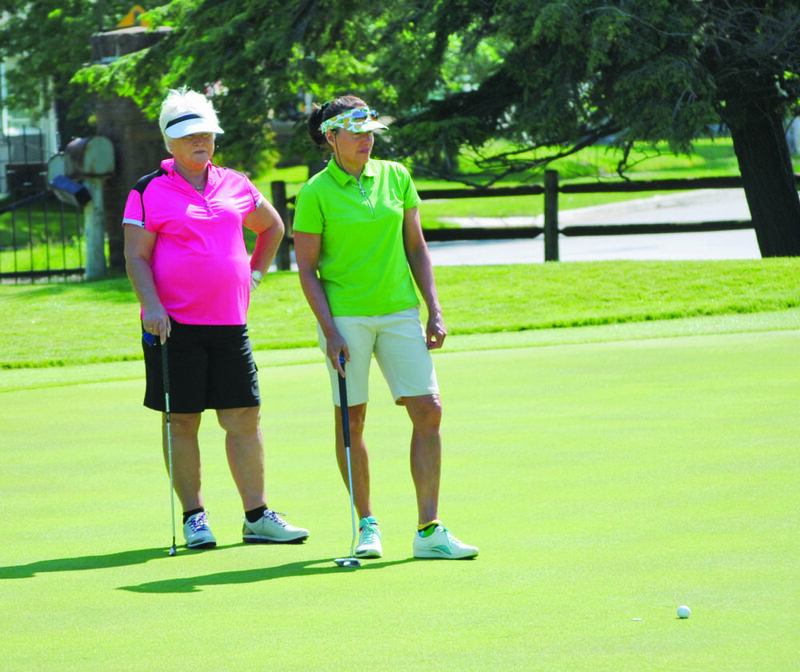 IRON MOUNTAIN — Lori Shea of Gladstone and Polly Anderson of Green Bay captured a sixth UP Dual women’s golf tournament Tuesday at Pine Grove Country Club. Regarded as the premier UP Ladies Golf Association best ball and scramble tournament, Shea-Anderson shot a one-under par 71 during a rainy Monday round to lead by eight strokes. They came back Tuesday with a 72 and 143 total. Iron Mountain’s Becky Cecconi and Ishpeming’s Karen Plaisier had their three-year title reign end. The former UP individual champions posted an 80 in Monday’s best ball and rallied with a 67 in Tuesday’s scramble to finish at 147. Sandy Glibota and Joan Smith of Sault Ste. Marie, Ontario, posted a 154 (79-75) for third place.